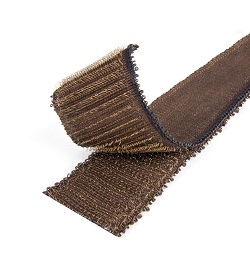 VELCRO® Brand OMNI-TAPE® Fasteners, as know as Snag-Free is self-engaging fastener with hook and loop woven on the same surface. By weaving alternating rows of nylon hook and loop on the same surface, the traditional two-component closure system transforms into fasteners or tape, a one-piece, infinitely adjustable, easy-to-sew fastening system. Benefits:Soft against the skin. Reduced lint contamination. Inventory reduction - inventory only one component as opposed to two! Eliminates color variations due to different dye lots of hook and loop. Standard stock is 1" Black or White on 25 meter rolls. $1.08 per meter. 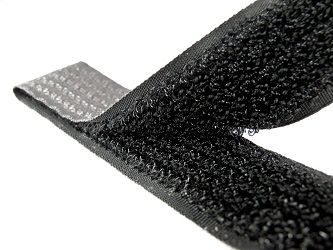 VELCRO® Brand VELSTRETCH® loop tape was made for applications that require the closure to expand and contract. This loop tape is designed to provide about 55% stretch and has a moderate to high cycle life.